Double or halve the numbers. 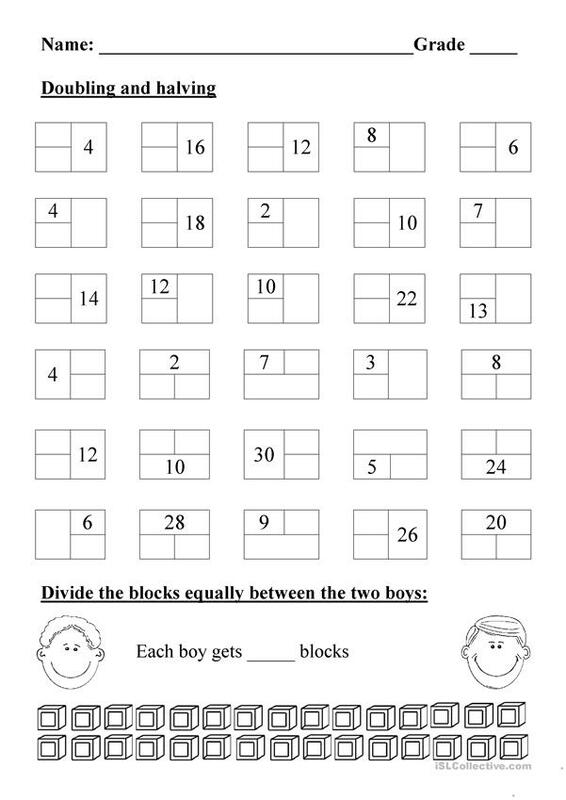 Fill in the blank blocks by calculating what the half of 'n number is. Fill in blank blocks by using the one given number and doubling it. Divide blocks equally between two boys. Elsa55 is from/lives in and has been a member of iSLCollective since 2014-10-09 10:57:15. Elsa55 last logged in on 2017-06-21 10:12:55, and has shared 1 resources on iSLCollective so far.